I Am Not Afraid!. 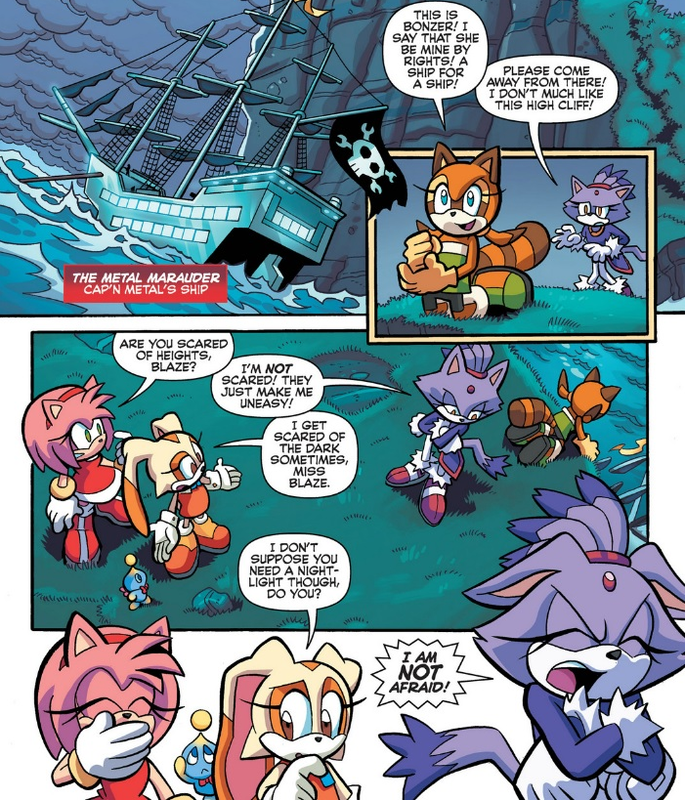 When Blaze and her teammates arrive at a tall cliff with Captain Metal's ship at the bottom, Blaze's fear of heights grips her, and, clearly embarrassed, she makes a poor attempt to deny it. 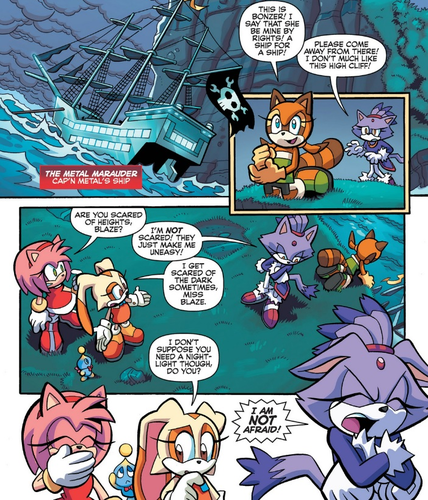 Scene from Sonic Universe #57.. HD Wallpaper and background images in the Blaze the Cat club tagged: photo blaze the cat sonic universe 57 acrophobia.